Beautiful fine handmade Ballpoint pens from the wood-lathe! 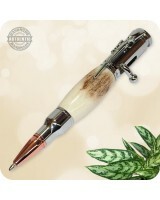 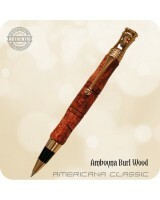 Elegant Twist & Click Ballpoint Pen models available in various beautiful materials such as Burled, Exotic Wood, Acrylics, Amalgam-Mutt, Antler Horn, TruStone, Lava Ash, M3 Metal just to name a few! 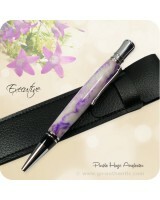 Quality Fine Writing Instruments handcrafted in Canada by Authentic Expressions. 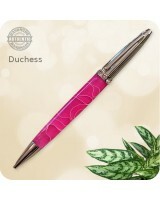 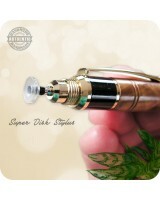 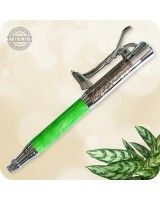 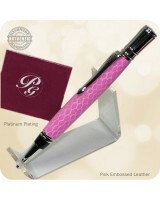 Here is a fine quality pen similar in design to a very popular pen brand! This genuinely handmade ..
A study in contemporary styling, the Concava showcases an exciting new concave design on the upper..
Elegantly simple and perfectly proportioned to fit a woman’s hand, this Duchess Chrome Pen w.. 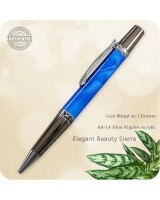 This beautiful Elegant Beauty Sierra Ballpoint Twist Pen was handcrafted from a Blue Ripples AA-14.. 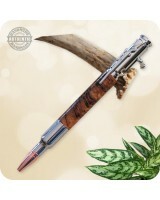 Here is a fine quality pen of absolute Uniqueness, this genuinely handmade Fireman's Ballpoint.. 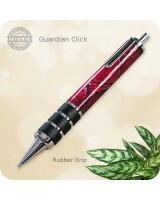 The Guardian Ballpoint Click pen is our largest pen. 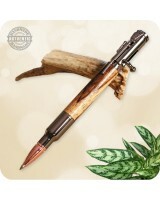 It's "beefy" barrel and it..